The weather is perfect is a great time to be browsing open houses and touring neighborhoods. 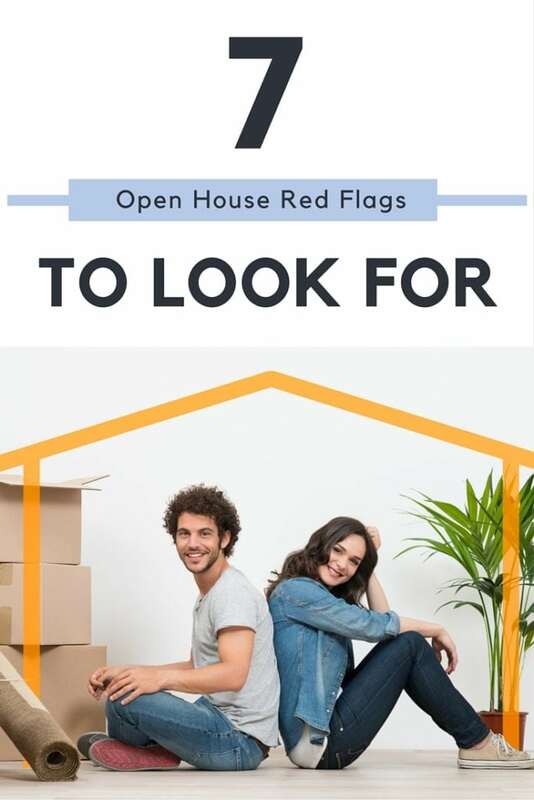 However, if you are there are some serious red flags on the home you should know about when looking at these open houses. #1. Multiple homes for sale in the neighborhood. If more than 20% of the homes in the neighborhood are for sale, there may be a reason why. It might not be coincidence. Neighbors may know of large construction coming in, problems in the area or bad schools. Talk to the neighbors and find out what’s going on and why so many homes are for sale. If you walk in a home and there’s an odor you can’t quite put your on, it could be something hazardous or toxic. If homes have basements make sure they don’t smell musty or molding. This could be a sign of some serious water damage. If you’re touring at an open house and a couple of the rooms are unavailable, this could be a problem. If you can’t see all of the rooms you certainly don’t want to get involved in the sale. Ask why a room is off-limits as it could be something as simple as conserving heating or cooling or even just some storage. However, make sure you ask about it and verify it if you are considering buying the house. Homeowners are known for making some quick renovations to make their home more appealing but fast work could come at a price to you. If they’ve cut corners, used cheap materials or did the work without a building permit, you could be up a creek once you own the house. #5. Peeling paint or holes. Rot, moisture or old paint can cause numerous problems in the house so you want to make sure that the paint is fresh, not peeling, old, bubbling or stained in certain areas. There are renovations and remodels that can leave a home looking like it’s missing certain puzzle pieces. If the home has some odd additions it may actually lower the value instead of increasing it. Ask the listing agent when the additions were created and if the proper permits were acquired. Take a look at the rest of the neighborhood when touring an open house. Are the neighbors yelling at each other or their kids? Do they take care of their front lawns and curb appeal? Are there numerous junk cars in the front lawn? All of these could give you an insight as to what your neighbors might be like. If everything looks perfect, do a drive-by of the neighborhood when there is no open house and see if things are as well put together. Armed with these simple things you can make the most of your open house tour. Need a list of all of the open houses coming up this weekend? Contact me below and let’s get started.